So, you just got married. After months of planning and a wonderful wedding and reception you were off to the most exotic honeymoon ever. But then comes the credit card bill next month and suddenly, the first decidedly unsexy thought pops up in the horizon: the dreaded talk about finances and money management. You may wonder why is is such a taboo? Trust us when we say you are not alone. Money matters create the most fights in marriage, and are established as a reason for divorces and separation (not to mention enough volatile outbreaks in an otherwise stable marriage). Since it is not at all a fun discussion to broach, sample this instead: Noted psychotherapists from University of Ann Arbor, University of Wisconsin (Madison) and John Hopkins Schools have concurred that establishing open dialogue regarding finances can ensure a happy married life. In fact, a study conducted earlier this year by National Foundation for Credit Counseling reveals that nearly 48% engaged couples think money related discussions are awkward, although a necessary conversation, while another 25% believed such discussions inevitably would lead to fights. 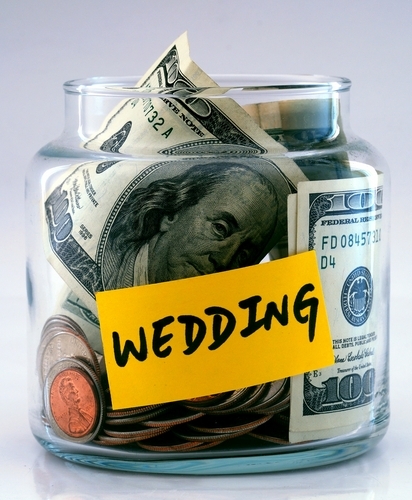 The most surprising statistic is that nearly 30% of the respondents who were newlyweds or engaged weren’t even aware until much later of the cause which had the couple to call off the wedding, only to realize the financial aspects. However, there was hope as nearly a third of respondents thought it would be an easy and productive conversation. With two people raised in different households, difference in circumstances as they grew up, their responsibilities around money and the conversations they would overhear their parents on money impacted their behavior. It isn’t quite the deal breaker (though it certainly can be) but the information was a vital part of handling finances well. Tips for newlywed involve first and foremost trying to understand the background of your spouse. Never be afraid to ask questions (though, be sensitive towards your partner). Did he or she grow up watching parents fight about money, or always under stress and afraid to spend money? Were they lavish and spendthrift beyond their ability to earn back? Was the early days of handling finances by you and paying the bills a stressful experience?” Now with respect to that try connecting your current money habits — see what makes you live paycheck to paycheck, if you are investing wisely, saving smartly, shopping around for deals, your decision towards necessary purchases and windfall gains. Learn to respect the differences. Instead of freaking out or calling out your partner, try to see where we can meet somewhere at a happy medium. Agree upon some common spending patterns and see if you can manage it better. If you don’t see the possibility, get outside help or counseling. Remember, nothing is worth embittering a new and fruitful partnership. Use this as an opportunity to for learning about the other person, with an open mind and understanding attitude. Moving forward, you’ll create a setup which can work for both, despite difference in approaches. Tally up all your assets with your financial papers—checking, savings, credit card bills, retirement accounts, collectibles real estate and your debts —credit card debt, school loans, mortgages etc. If there’s anything out there which is a blackbox, this is the time to make it known. A frank and transparent estimate of where you two stand in terms of life’s financial situation can only be for the better. Calculate your net worth by subtracting your net debts from your total worth of assets. Go over your credit reports to see your credit standing. It all prepares you for emergencies and unforeseen financial surprises. IT also gives you and your partner an opportunity to re-evaluate if some aspects hitherto deemed necessary are indeed worth spending on. And yes, if you didn’t reveal it already, discuss your income to each other. It allows you to run the household finances as a team. Most importantly, it allows you both to be prepared in case either of you is indisposed. Divide your money about debt, saving and retirement amounts – compare it with your earning and net investment amounts (if required solicit a professional help) and use it to set some financial goals. It could be as simple as how much you want to save within a time-frame, how much you want to contribute towards other aspects of your life like a vacation or something like a common cause / donation which appeals to both of you. And do NOT mix your individual savings and retirement plans. Create a budget comprising of your essential costs in a time-perid — rent/ mortgage, transportation, groceries, utilities, discretionary spending (gym, entertainment, shopping etc.) Track down your expenses to various categories you spend on for at least a month. There is plenty of online software and service like Mint. Ideally you should devote 20% of your take-home pay to savings—10% toward emergencies if you’re still building it and 10% to retirement. And if you both are guzzling 80% of your monthly income, it is time to ratchet your spending down until the next raise comes along. 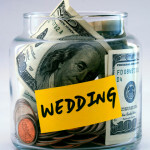 In addition to these, minor steps like deciding on an upper limit for big expenses like cars, moving to bigger housing or having a baby and splitting the finances so both of you can regularly tend to some bills and build your credit history are just some other things you must resort to as newly-weds. Just don’t avoid the conversation, for you’ll know better about where your wallet stands by the end of it. Keep it short, keep it simple.